Procuratorate sent prosecutors to the Cheonha Group to investigate. 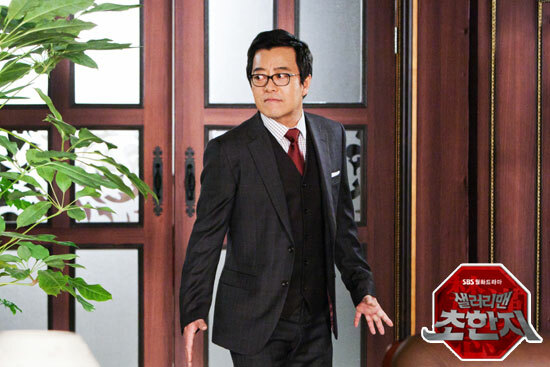 Hang Woo notifies Beom Jeung to delete important files just in time. Mo Ga Bi is tracked by Yeo Chi when transferring files, procuratorate manages to get all the files. Hang Woo sells the shares of Cheonha Group with high price and fill up the shortfall, thus the prosecutor does not identify any problems. Yeo Chi brings the future contract that made into deficit by Mo Ga Bi to shareholders’ meeting, Mo Ga Bi faces dismissal. Yoo Bang advices Hang Woo to account for the evidence, only then Hang Woo understands it’s Yoo Bang who reported the Cheonha Group. Woo Hee discovers the real will of president Jin in the computer, Mo Ga Bi quickly sends people to kill and silence Woo Hee.